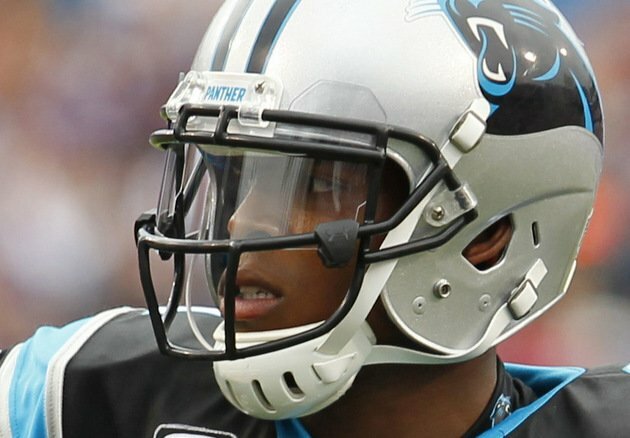 Is this the new way visors will look in the NFL? This was something I saw this morning and I don’t know if this is new or relatively old or whatnot. But it is a pretty unique development. 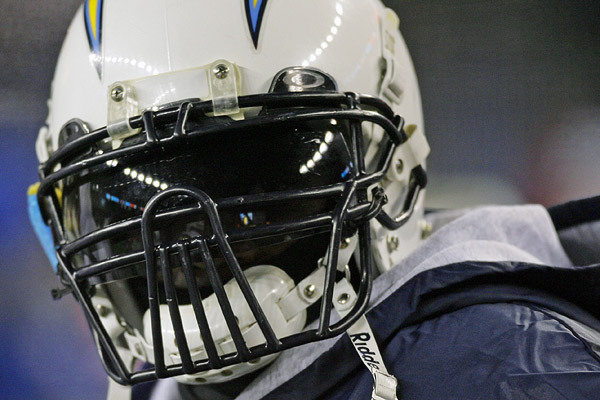 For the longest time, visors in the NFL have either been clear or tinted. But never have I seen a visor designed where you can see the logo on it. I always thought in terms of branding that there were limitations on how a player can equip their helmet. However, since the design is the team logo, then it would be OK, right? I haven’t seen this yet on the field. If I had missed it, I’m pretty shocked I did. Would more teams adapt this look or is too much of a distraction? I think it looks pretty cool but I think it might be too much of a visual distraction. Being thankful is not just once a year kind of deal, but it’s an every day thing. Enjoy time with your loved ones and eat well. Enjoy some football and don’t make a blunder like Leon did 20 years ago. Remember when the NFL announced that they want players to stick with one helmet all season long? That has prevented some teams from wearing throwbacks this year.With that news, most teams will stick with their normal uniform set unless they feature a throwback that doesn’t require a helmet change. Or some teams just use the throwback with their current helmet shell. With that in mind, let’s take a look back at recent throwback uniforms that we will no longer see due to this new rule. When the Cowboys moved out of the Cotton Bowl in 1971, they decided, along with the improvements of color TV, that they would wear white at home to give the viewing audience a variety of different uniform matchups for every home game. Instead of blue vs white, it was white vs whatever the opposition’s team color was. They’ve kept that tradition to this very day. 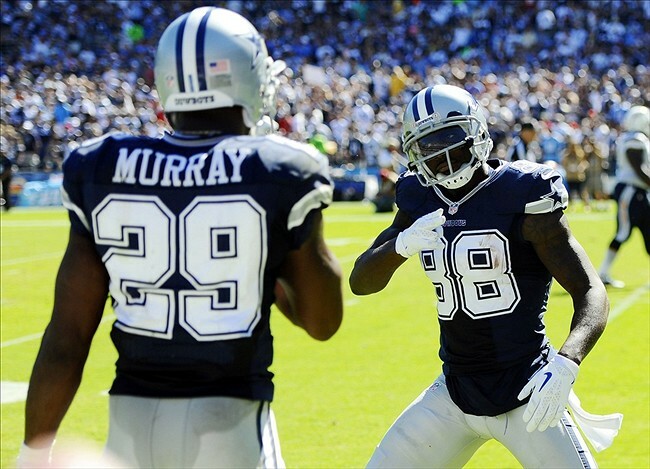 The only time the Cowboys have worn blue at home was when they decided to wear throwbacks, which they have done in past Thanksgiving Day games. 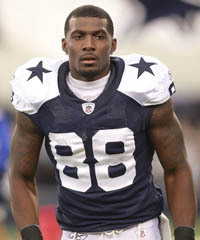 However due to the new helmet rule that prevents them from wearing their traditional throwbacks and the Cowboys’ already informing the league back in the summer they’d wear their dark color on Thanksgiving, they have decided to wear their blue road uniforms. They could have worn their throwbacks with their current helmets, but that wouldn’t look too good. Prince Fielder appears to be wearing #84 with the Texas Rangers. This photo was tweeted out and it shows three different jerseys that Fielder will wear with the Rangers: the road gray, the blue alternate and the red alternate. I didn’t notice this at first but I remembered why I hate the Rangers uniforms so much: it’s the drop shadow. The road gray jersey doesn’t feature that element at all. Compare the above photo tweeted to what new teammate Adrian Beltre has been wearing with the team, apparently the drop shadow has been dropped. New Kansas City road alternate uniforms. 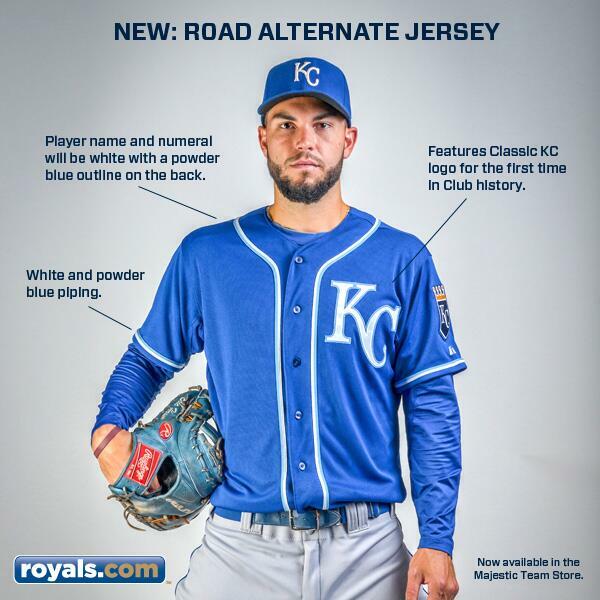 The Royals announced a new road alternate and it actually looks pretty nice. It’s simple and it features the same element as some other teams have. Like the Nationals, they feature two-tone piping. Like the Tigers, it’s just a simple chest logo and nothing else. But the problem with this alternate jersey is not the template, but the decision to include the powder blue in it. As much as they want to have powder blue prominent in their identity, it’s mainly a secondary color. With that said, it just seems the powder blue is so forced into the piping and logo. Their primary logo doesn’t even feature that color. Was all this really necessary?